The start of Week #14. OMG. How you doin’? The Contest is on! No new reviews yet, so get em in and send an email to collegestudentsuccesspodcast@gmail.com An easy way to win $100 Amazon gift card. You’ll be guaranteed some amazing odds! This gift card is in American Dollars, which are historically strong at the moment. That’s a nice segue to talk about my listeners in other countries, I see you! I recently starting doing some analytics on my site, and see from the downloads that people in Brazil, Japan, the Netherlands, and China are tuning in. Welcome friends! Please keep listening, and let me know if there’s anything you’d like me to tackle. I’m going to talk to you about a study skill today as we prep for finals in the next few weeks. A simple system (read that as series of habits) for keeping up with studying that removes the need to cram, and won’t add much time to your workflow. It employs one of my favorite permaculture techniques, function-stacking. We discussed this a few weeks ago in Episode 15. Think about the people around you, or the places where you have the opportunity to meet people. Think about one person you can approach to have a conversation. Again, you’re not asking them to be your mentor. You just want them at this point to know who you are. Work a weekly review into your workflow; get into the ritual of methodically checking up on your To-Do list and calendar at least once a week. Write down the things that are bogging you down. Which quadrant of the Urgency/Importance matrix do you see them in? How we can we devote more of our time and resources to Quadrant 2? This week, take a step back, and look at where you’re at a little more globally. Are you on the right path? How has your perception of your situation changed? Be proactive! Do something to get you closer to your goals that you’ve been thinking about but having trouble executing. Clarify your To-Do list. Are all of the steps actionable? Are you waiting on anything from anyone? Start a Someday/Maybe list to get those things off your mind. Ponder the idea that happiness is a choice. Think about ways you reduce the negative feelings and promote the positive ones. Think about who you spend time with. Take one small step, try and make one tiny change that’s doable that might begin to lead you in this direction. Express gratitude to someone else in written form. A handwritten note would be best, but email is allowed for this exercise. Do an 80/20 analysis on your remaining school commitments. What is that most important 20% that is going to lead to 80% of the output? Dedicate time in the next week to those activities. 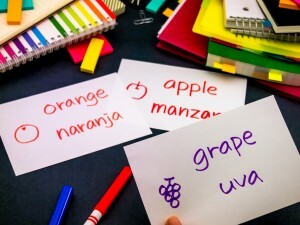 Consider making some flash cards to use as a study tool. If you’re already past the point of this being a viable strategy, then don’t worry about it, and instead consider using my flash card note-taking system next semester.